There is something about the dawning of a new Season that makes us want to freshen up our footwear. Not only does it feel cleansing, but it also gives our entire wardrobe a new lease of life. Certain pieces that we thought would never see the light of day again magically seem new and shiny once more. Speaking of new and shiny, we have something special to share with you - the Barker SS19 Collection. Barker’s Spring Summer 2019 Collection compromises of new distinctive styles that perfectly encapsulates the Classic Barker feel. Scroll down for notes on a few of our favourites, and what to wear them with. 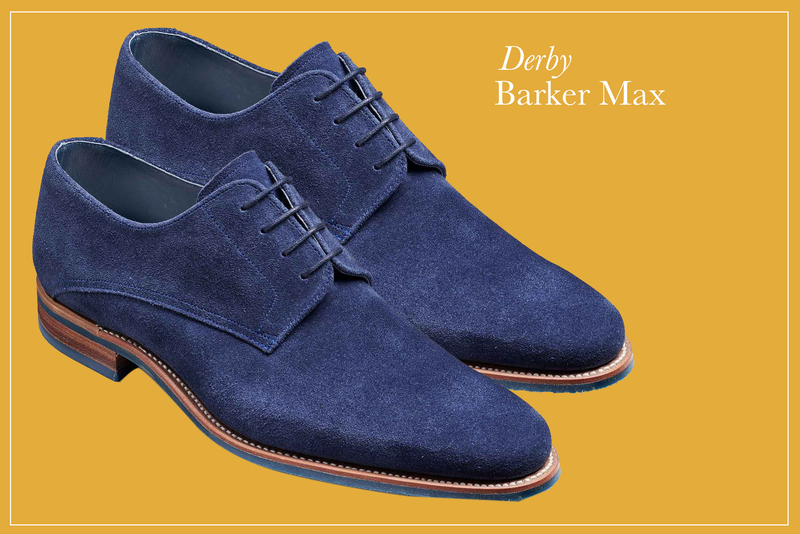 Barker Max is a plain fronted Derby made from the finest European calf and suede with a Barker rubber sole for extra durability. You can choose from 4 beautiful colours, rosewood calf, navy suede (pictured above), tan burnished suede and brown burnished suede. We would pair these with light chinos, casual striped t-shirt and a denim jacket. The perfect weekend look. 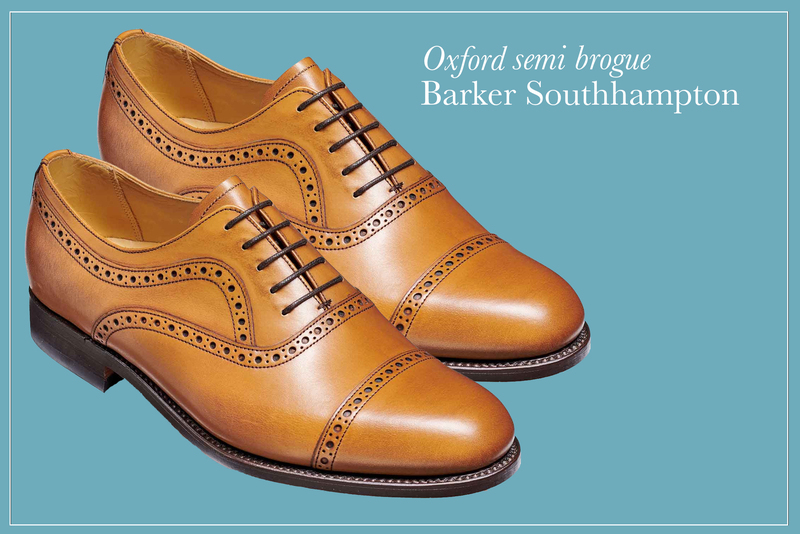 Barker Southampton is an extra wide fitting Oxford semi brogue crafted with integrated Barker welted-flex construction for extra comfort. These come in a range of classic colours, dark walnut calf, back calf and cedar calf (pictured above). For a business casual look try pairing these with turned up dark wash jeans, a crisp white shirt or t-shirt and a dark blazer. Complete the look with a matching Barker belt. 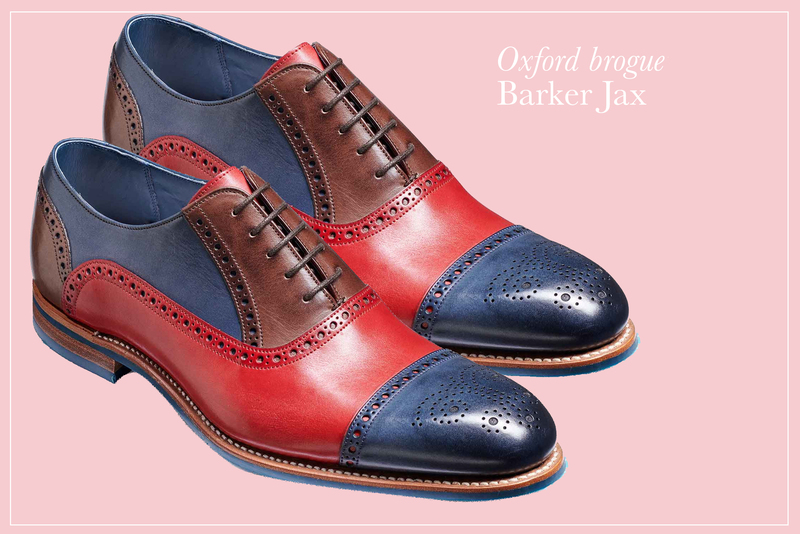 Barker Jax is a twist on a classic semi brogue. Crafted using hand-painted natural crust leather for a rich vibrant finish that is sure to make a statement. These fantastic shoes in red, navy and ebony (pictured above) can be worn on any occasion for an eye-catching look. You can offset the vibrancy with tailoring in neutral hues such as navy, charcoal or beige. If you love the distinctive style but would prefer a more traditional colour, the Barker Jax also comes a two-toned cedar and ebony model. This style would make the perfect accompaniment to tweed or denim. 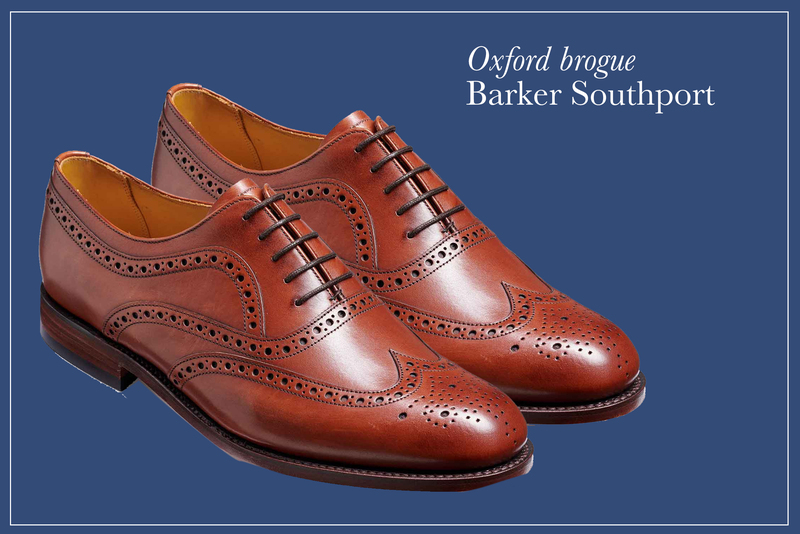 Barker Southport is a classic full wing brogue, crafted using fine European calf leather in a fitting width for extra comfort. This fantastic shoe comes in a range of 3 colours, rosewood calf (pictured above), dark walnut calf and black calf/ black deerskin. 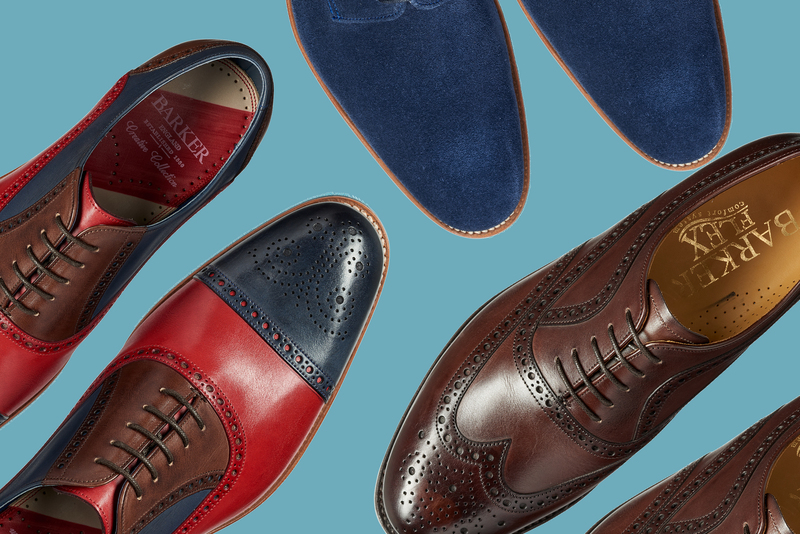 Any of these classic colours would look great with a tailored suit, for the office or any special occasion. Shop all of the Barker SS19 collection here.